We’re thrilled to present our first Press Publish speaker: award-winning artist and writer Kathy Cano-Murillo! 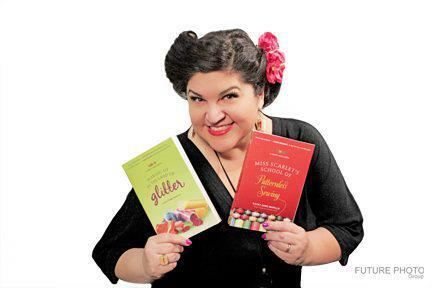 Kathy is known for her non-stop craft ideas, media savvy, prolific writing, and love for all things glitter. An engaging and inspiring speaker, Kathy’s mission is to spread positivity through creativity. We’re excited that she’s speaking at both Portland and Phoenix about using your blog to turn your creative passion into your full-time business and connecting with brands as a blogger. Kathy launched CraftyChica.com in 2001 as an online diary about how she juggled family, a full-time job as a newspaper reporter, and work as a craft designer by night. 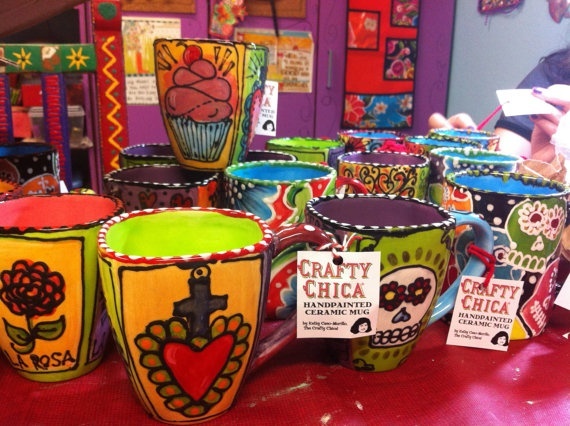 In 2007, Kathy left her job as a columnist for The Arizona Republic and grew CraftyChica.com into a wildly popular website that inspires women to brighten their lives with clever lifestyle ideas. Kathy is now a national spokesperson for iLoveToCreate and a creative influencer for Lowe’s Home Improvement Stores. She has a product line that is carried in Michaels stores and has authored nine books, two of them novels, and has been featured in The New York Times, USA Today, HGTV, DIY Network, Lifetime TV and more. When Kathy isn’t designing, crafting, or writing books, she tours the country teaching classes and giving motivation and business presentations. Kathy has spoken at events like WordCamp SF 2014, Blogalicious, and BlogHer to great acclaim. We’re so excited to have her on stage in Portland AND her native Phoenix to hear more about how her blog took her places she never knew she could go. What made you start blogging on craftychica.com? I’ve always loved to write and share stories — and show off things I made. Blogging was the perfect platform for me to do all of that! From sharing DIY projects to parenting memories to all the things I love to watch, buy, and eat – I can post about it and share it with the world! What keeps you posting regularly? I never run out of ideas. I love the feedback, and meeting people who tell me about their favorite articles on my site. It’s also a release for because I love writing and sharing ideas. I’m a very social person! What are a few of your favorite posts, and why? I love Day of the Dead season; I also love all the fall and winter holidays because everyone is so excited to make things. But I think my favorite things are the flash fiction pieces I wrote. I hope to do more of them! Tell us a bit about your writing process. I keep a loose editorial calendar, but I improvise a lot too. The magic comes from when I’m really excited about something. Sometimes it is planned, other times it pops up up and I have to drop what I’m doing and blog about it. I first size all my pictures, edit them and then upload them. Then I’ll write my first draft all the way through without editing. Then I go back and read it in preview on a separate screen and note the changes I want to make, then I go into the edit screen and make the changes. Seeing the preview version makes all the difference; it really shows the vibe of the post and lets me know if I need to amp it up or tone it down. Once I’m proud of it, I’ll publish or schedule it. How have readers responded to your writing? It’s always been positive; I love it when they give me ideas of new things to write about or cover. What do you like about blogging with WordPress? I switched to WordPress because I really wanted a site that reflected my personality. I love the control I have with it, the plug-ins, and the ability to totally overhaul my look every so often for a fresh look! If you could go back to when you were getting started blogging and give yourself one piece of advice, what would it be? To add more pictures! I have so many awesome stories about my kids, I wish I had taken the time back then to snap pictures and use them! Also, to edit a bit more. Other than that, I’m really happy with my blogging history!